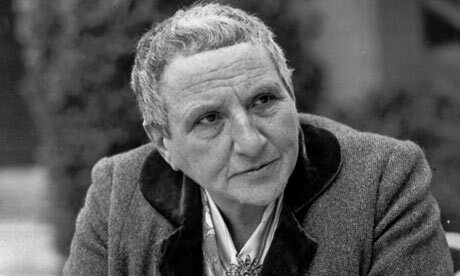 February 3rd marks the 140th anniversary of Gertrude Stein's birth and that's a great excuse to check out the recordings housed on her PennSound author page. At the heart of this collection are a group of recordings assembled by Ulla Dydo that include the sessions for Stein's Caedmon album — excerpts from The Making of Americans, "A Valentine to Sherwood Anderson," "If I Told Him: A Completed Portrait of Picasso," "Matisse," and "Madame Recamier. An Opera" — along with three additional pieces ("The Fifteenth of November . . . T. S. Eliot," "Portrait of Christian Bérnard," and "How She Bowed to Her Brother") and a very brief 1934 interview segment. These recordings were very early additions to the PennSound archives and touchstones for many of our listeners. A more recent addition to the page is a 1947 Columbia broadcast of Stein's opera, Four Saints in Three Acts, with a score composed by Virgil Thompson. This landmark recording comes to us courtesy of John Whiting, who's written a thoughtful introduction to the opera and provided a complete libretto. You can listen to all of these recordings by clicking the title above. 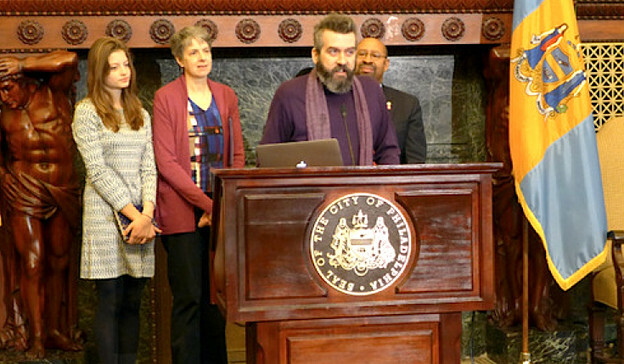 We couldn't be happier at the news that Frank Sherlock was recently named Philadelphia's second poet laureate, succeeding Sonia Sanchez for a two-year term. Al Filreis marked the occasion with a Jacket2 commentary post that includes quotes from both Mayor Michael Nutter and Sherlock himself — "How lucky I am to be a poet in my favorite city in the world? This city raised me, beat the hell out of me a few times, and still reveals the magic of Philadelphia Brotherly Love." — and video footage of the poet reading "You Can Feel Good About" at the ceremony. No doubt, for many of our listeners (myself included), Frank Sherlock is a much-beloved poet, but if you're not familiar with his work there's no better place to get acquainted than his PennSound author page, which is home to fifteen years' worth of recordings of readings, podcasts, interviews, and collaborations. Please join us tomorrow afternoon at noon for a "tools-and-techniques luncheon" roundtable on PennSound held as part of the Penn Humanities Forum. Co-directors Charles Bernstein and Al Filreis will be on hand, along with Chris Mustazza (Director of Student Technology for SAS Computing and a longtime Technical Advisor to PennSound), to discuss our site's purpose, curatorial methods, and implications for digital humanities research in sound-based poetics. This event will run from 12:00-1:30 in the Myerson Conference Center on the second floor of the Penn Library (3420 Walnut Street). Pre-registration is required, and more information on that process, and the Penn Humanities Forum, can be found here. We wanted to make sure we didn't miss the opportunity to pay tribute to poet, painter, and art critic René Ricard, who passed away on February 1st at the Bellevue Hospital in Manhattan at the age of sixty-seven. A multifarious talent whose career evolved in several phases, Ricard got his start as a member of Warhol's factory, appearing in iconic films including Kitchen and Chelsea Girls. He put his downtown insider status and prodigious knowledge of the art world to good use, writing for ArtForum in the 1980s, championing the work of Jean-Michel Basquiat and Keith Haring (through his career-making essay, "The Radiant Child"), as well as Julian Schnabel. While mainstream audiences probably only knew these aspects of his life, he was also well-respected poet, though the majority of his books — including René Ricard 1979-1980 and God With Revolver — are out of print or difficult to locate, commanding hundreds of dollars on the used market. For that reason, we're very glad to be able to direct readers to Ricard's December 1, 1977 appearance on Public Access Poetry, where he appeared alongside Camille O'Grady. His segment of the program included the poems "On Being Called a Dilettante," "April 29," "Caravaggio and His Models," "The Slaves of Michelangelo," and "On the Tomb of W.H.," among others. It's a rare opportunity to connect with his early writing and to witness the charisma that made him so dearly beloved in both the art and poetry worlds. 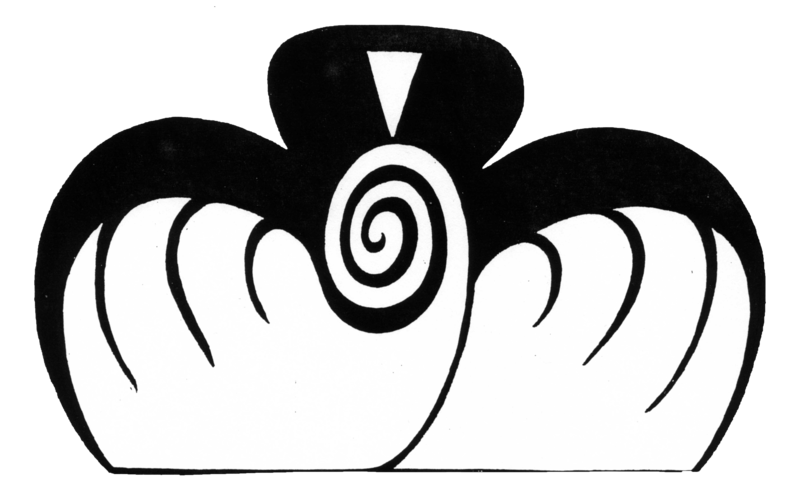 We recently added several more videos to our homepage for Cloud House Poetry Archives, which has documented decades' worth of poetry events in the Bay Area under the guidance of the legendary Kush. First, there's a March 20, 2010 Small Press Traffic reading at the Poetry Center at the San Francisco State University featuring Bruce Andrews and Leslie Scalapino (the latter appearing just two months before her death). Next, we have an tribute reading for Etal Adnan from December 11, 2012 at the Green Arcade — co-sponsored by the Poetry Center and Small Press Traffic — which celebrated the publication of the Post-Apollo Press anthology Homage to Etel Adnan, edited by Steve Dickison, Lindsey Boldt and Samantha Giles. Finally, from the "Poetics of Healing" symposium at the Poetry Center, we have a 2009 reading by Barbara and Dennis Tedlock reading Zuni Ethnopoetics. Today we released the seventy-fourth episode in the PoemTalk Podcast series, which is concerned with Basil Bunting's rendition of Walt Whitman's iconic "Out of the Cradle Endlessly Rocking." Joining host Al Filreis for this program was a panel consisting of Amy King, Julia Bloch, and Tom Pickard. Filreis starts his write-up of this episode on the PoemTalk blog by framing the panelists' approach to the poem: "The group chose to focus on the first two stanzas, with a glance, late in the discussion, at the remarkable final passage: 'My own songs, awaked from that hour; / and with them the key, the word up from the waves, / The word of the sweetest song, and all songs.' Although we don't deal specifically with the significance of 'word up from the waves' until the end, the discussion as it evolved can be said generally to be about the urge Whitman recalls feeling as a young man as a keenly discerned compulsion to 'translate' longing into language — words of the sort that the sea suggests with its incessance, its bodily formlesness, its blank-slateness (as Tom Pickard beautifully suggests), its dependability. It and the natural seasonal life motions of the seaside birds embody the state of language of the sort Whitman needs and loves, a desire he discovers in these words of recollection." You can read the rest of his introduction on Jacket2.